This course is designed to provide a technical overview and to introduce delegates to the many facets of the Aviation Jet Fuel business – a business which operates at a truly global level. It will not only examine the workings of the modern jet engine and its relationship with fuel product quality, but will build the picture as to why, unlike some fuels, jet fuel specification, production and handling are critical to the continuing success of the aviation industry. It explores components of the business from several key perspectives, including oil company fuel suppliers and civilian and military users. Aviation fuel standards, traceability and quality assurance. The jet engine - Starting with the basics of how a jet engine works and examining why fuel parameters are critical. Production of fuel - Looking at major aspects of production of fuel, the refining processes used, and examining the current and possible future sources of jet fuel. Contaminants - Description of contaminant types in jet fuel and their prevention and control, including particulate, water, other fuels, additives, and microbial contamination. Specifications and standards - Why specifications are required and how they are developed. Jet fuel procurement specifications and fuel handling standards will be explained. 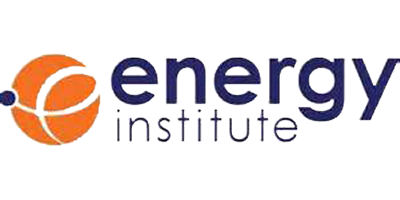 Filtration - Description of Energy Institute standards. Explanation of the fundamentals of filtration and filtration types and how they are used. Additives - A look at what additives are permitted in jet fuel, their purpose and their use in manufacturing and distribution operations. Field tests - An overview of various field tests in preparation for demonstration and use on day 2. A visit to an airport storage facility - Field test demonstration, including hands-on testing. Airport fuel farm guided tour with explanation of equipment and procedures. Static electricity -A guide to identifying and controlling risks. Laboratory visit - Demonstration of laboratory test methods, sampling equipment, product quality defect investigations, and microbial testing. Storage, distribution and quality control - A discussion of operational challenges in distribution systems. A guide to equipment and best practice. Certification and product quality workshop - A chance for attendees to participate. The focus will be on product authentication and product quality data verification. Inspections (IATA, JIG, CAA) - Maintaining and developing best practice. No reviews were found for Aviation Jet Fuel. Be the first to review!